Heavy Duty formula removes dirt, grime, stains and oxidation from all kinds of plastic, rubber and vinyl surfaces. 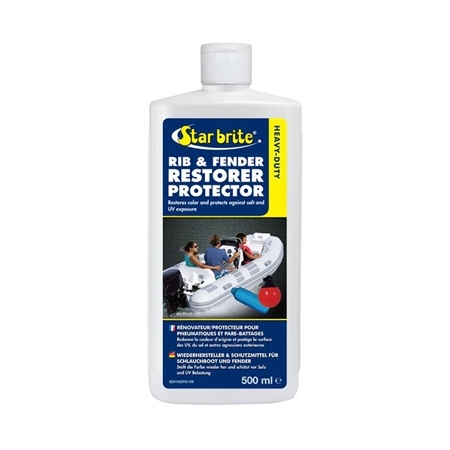 Apply to any type inflatable or fender to clean, shine and protect exterior surfaces. Leaves a long lasting polymer coating to protect against future weathering. Contains UV inhibitors. The quick and easy way to restore and maintain all types inflatables and fenders.